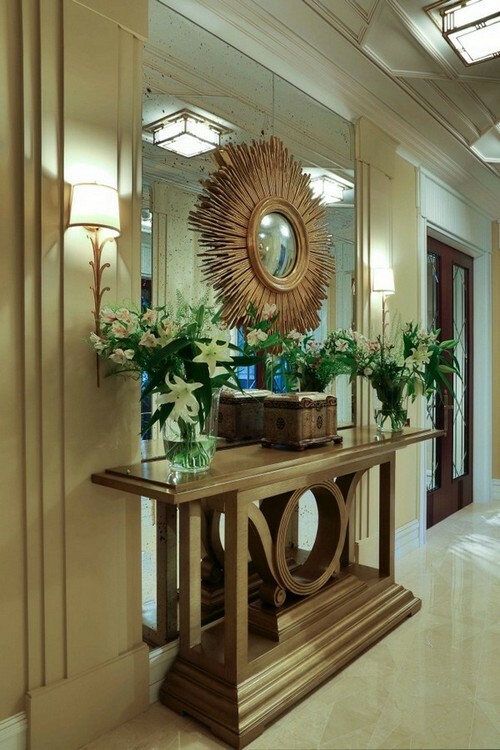 The sunny golden color is able to add a twist of positivity to any space, but as the oldest symbol of wealth it should be used very carefully so that its owner wasn’t suspected of vanity and bombast. 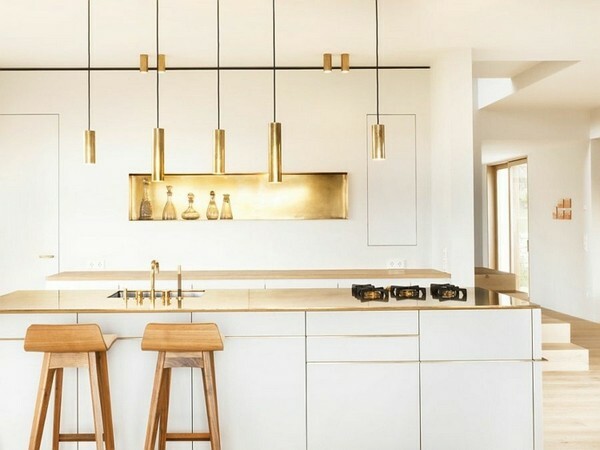 While decorators are analyzing the unexpected clients’ drive for luxury, we’ll have a look at a few ways of proper use of gold in different interior styles. 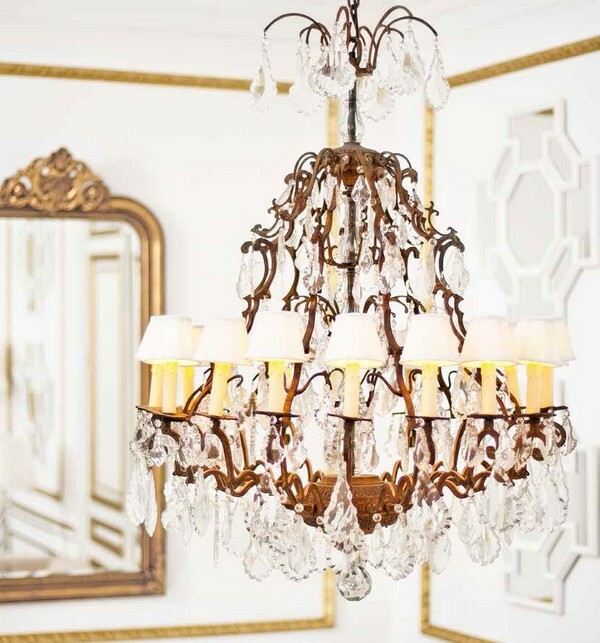 Classics and art-déco are the styles which imply the use of golden stuff for creating the spirit of wealth, luxury and elegancy. But the golden rule stays the same – moderation. 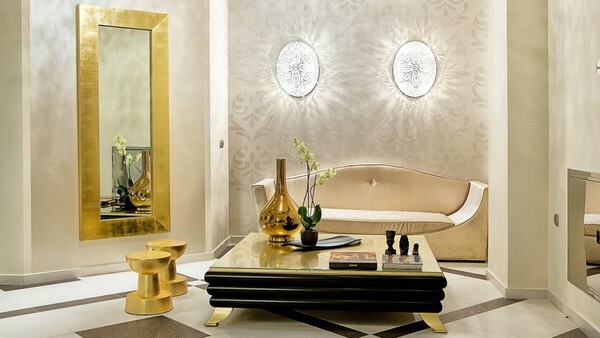 Even art-déco with its desire for artsy and ever-festive-the-Great-Gatsby-style interiors is not allowed to mix precious metals, like gold and silver. Imagine that you’re going to a major event and the main must-have is jewellery. If you wear your entire “armory” – necklace, bracelets, a bunch of rings and etc. – on a “the more, the better” principle, this would look ridiculous. The same rule applies to interiors. 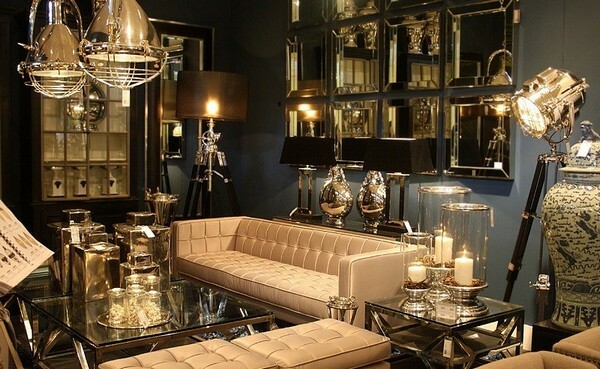 You’d better take one thing, for example, a mirror frame or a fashionable fruit-shaped art object, and it will make your interior. All alone. As for proper color combinations, remember that golden is a warm color, which likes to be coupled with warm shades and hues: chocolate, green, blue, pink, and peach. 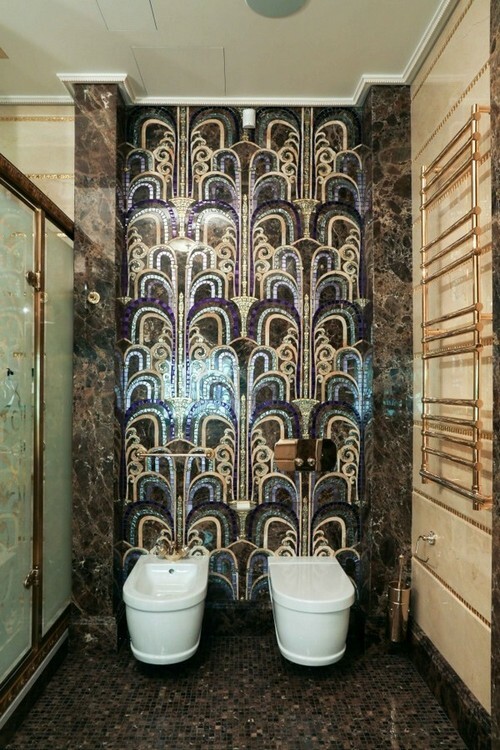 On the images below you can see a nice example: a bedroom in golden and purple palette, and a bathroom with a fanciful golden mosaic pattern. 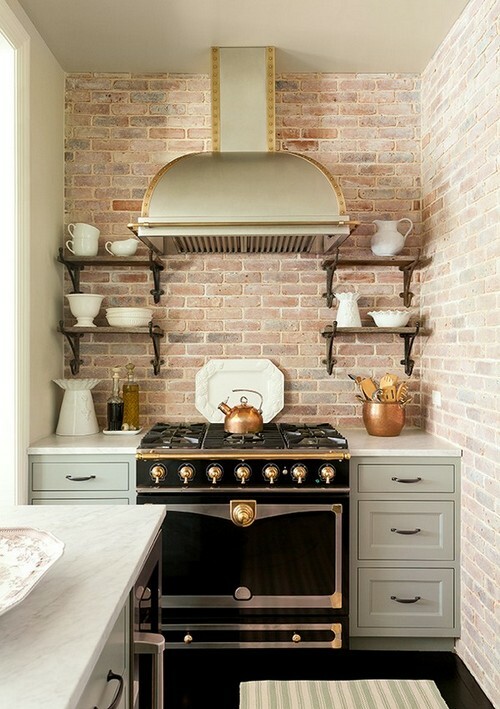 Shabby gold, brass and all hues of copper are splendid accents for modern loft-style homes. 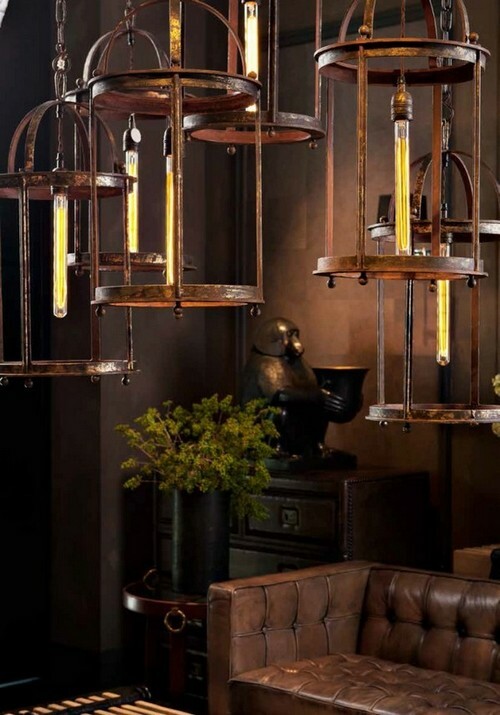 Industrial motives in interior design entail the use of versatile metals, and gold is not least among them: shabby lamps, peculiar golden furniture fixtures, massive gilded mirror frames, golden or cast-iron pipes, and even some pieces of furniture. 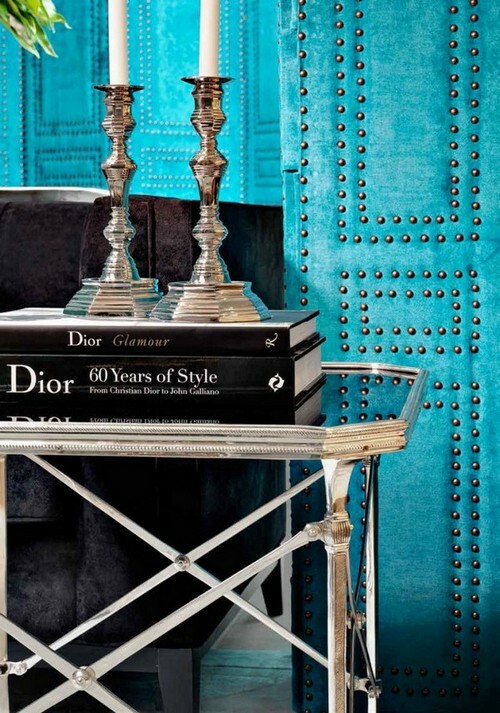 Aged or patina-covered golden items are traditional for French Provence interiors. 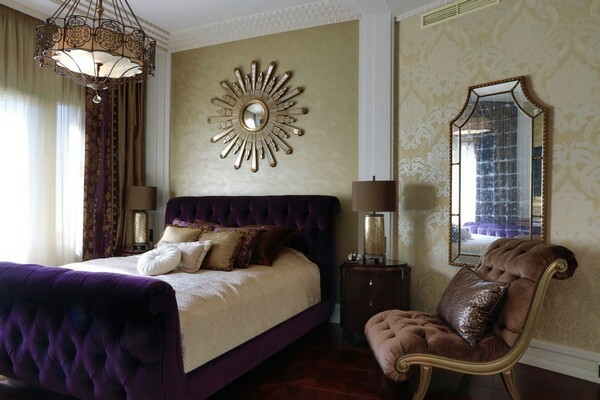 Golden curtains, furniture fixtures and gilded picture and mirror frames – in a word anything which looks like vintage – might be appropriate. 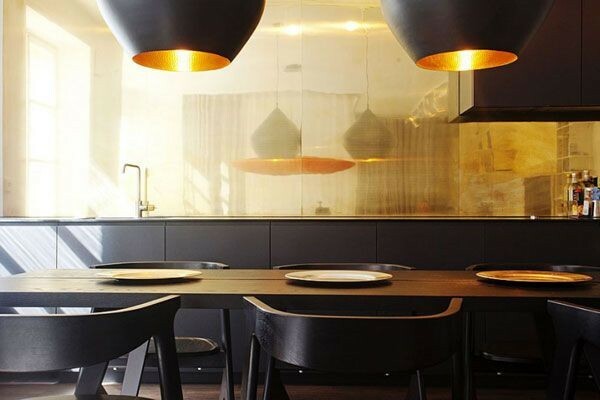 One more place of application for golden elements are eclectic interiors. 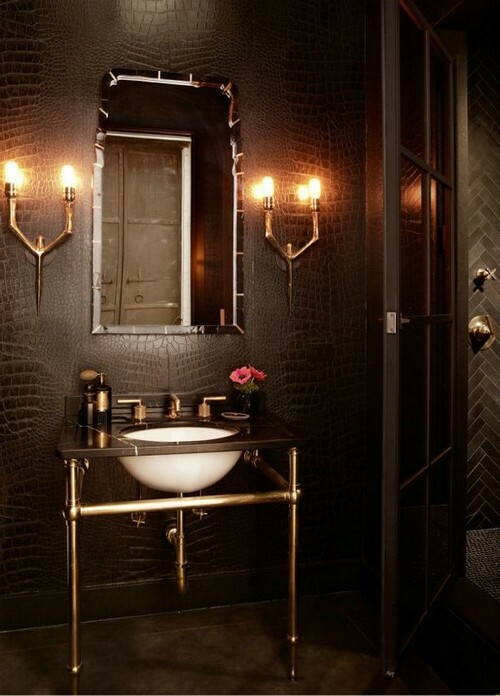 To avoid a royal-palace look and reach the sense of antiquity, use darker, duller and dimmer tints of gold. 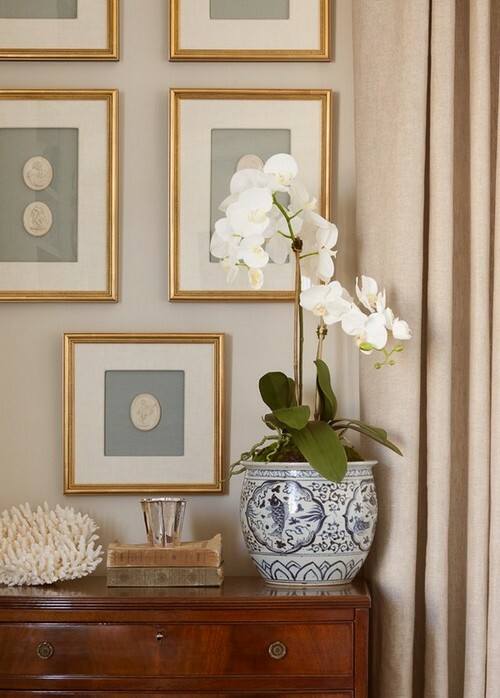 It can be a folding screen, an oriental lamp, sophisticated wallpaper pattern or home textile. 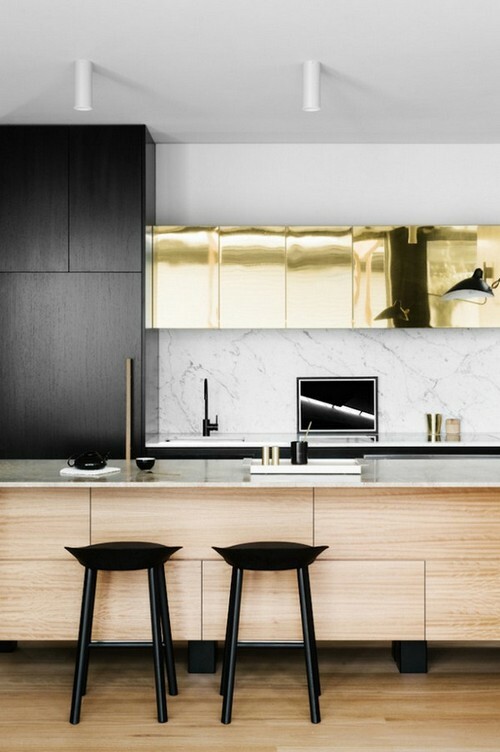 Quite unexpectedly golden elements managed to penetrate into super-modern minimalist spaces. 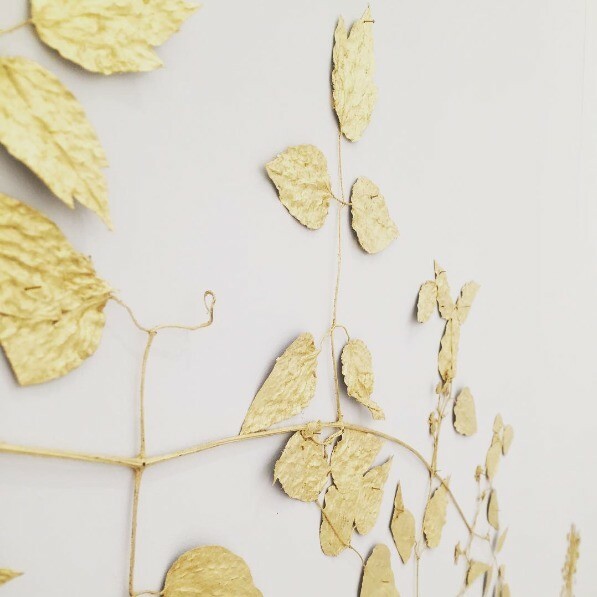 The latest interior design exhibitions feature gold not just a supporting accent, but as a centerpiece of interiors. 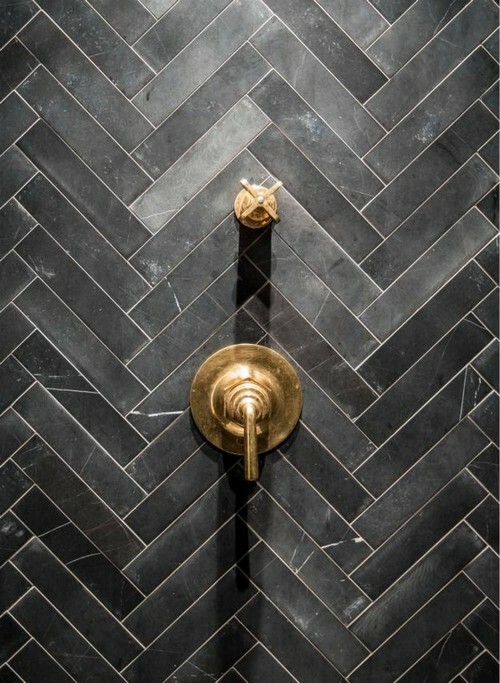 It can appear even in Scandinavian style, which had always carefully avoided it.